DESPITE patchy weather, passenger numbers at the Last Hurrah, the Great Central Railway’s final gala of the season, were 15% up on the corresponding event last year. The November 19/20 gala featured five locomotives in steam plus a diesel, as contrasted with the first such event in 2010. No. 78018, WR 4-6-0 No. 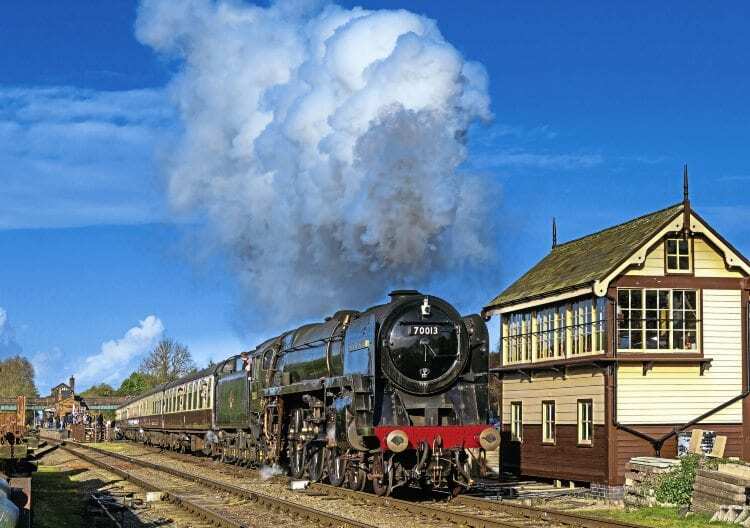 6990 Witherslack Hall, LMS Stanier 8F No. 48624 and ‘Black Five’ 4-6-0 No. 45305. Class 25 D5185 failed and was replaced by Class 20 D8098. The Saturday’s passenger numbers, on a cold but sunny day, were a third higher than last year, but the Sunday’s figures slightly down due to the weather. The Saturday featured 54 train movements. Apart from Saturday and selected Wednesday Santa trains, the railway is now closed until Boxing Day. Christmas holiday services will run from December 26 until January 3, normal fares applying. The trains will include a griddle car service. No. 30541 from the Bluebell Railway. It is intended to have nine engines in steam.